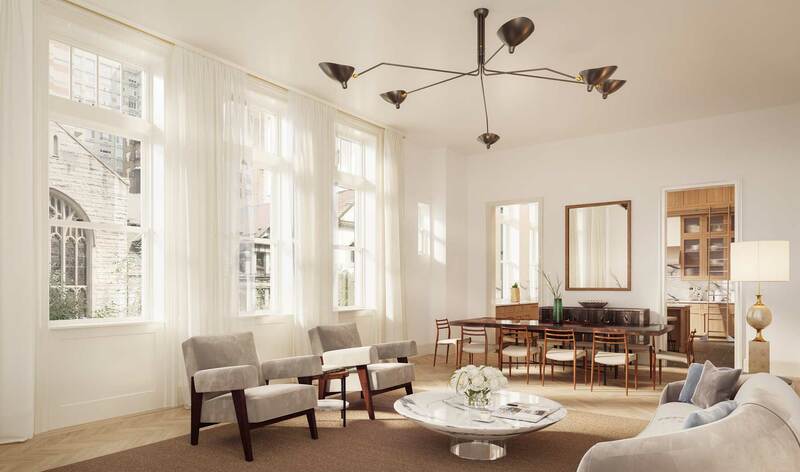 The Solarium Penthouse is an astounding, truly one-of-a-kind home. 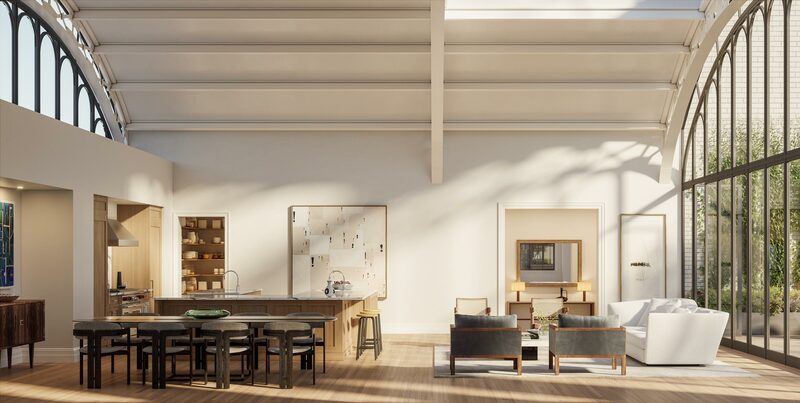 The centerpiece of the three-bedroom home is a breathtaking Great Room crafted from the immense vaulted and skylit volume of the original school gymnasium. 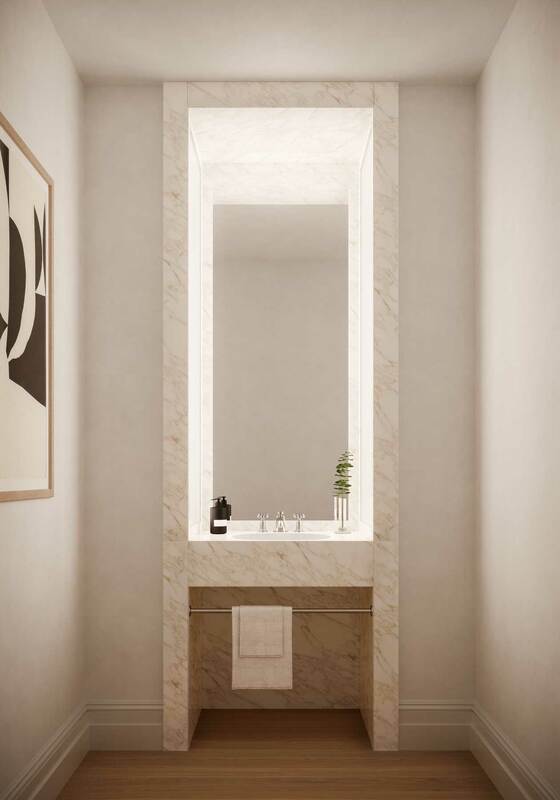 Stunning in its scale and luminosity, the dramatic space soars to nearly 19-1/2 feet, with a floor-to-ceiling window-wall along its south façade that opens onto a private terrace. 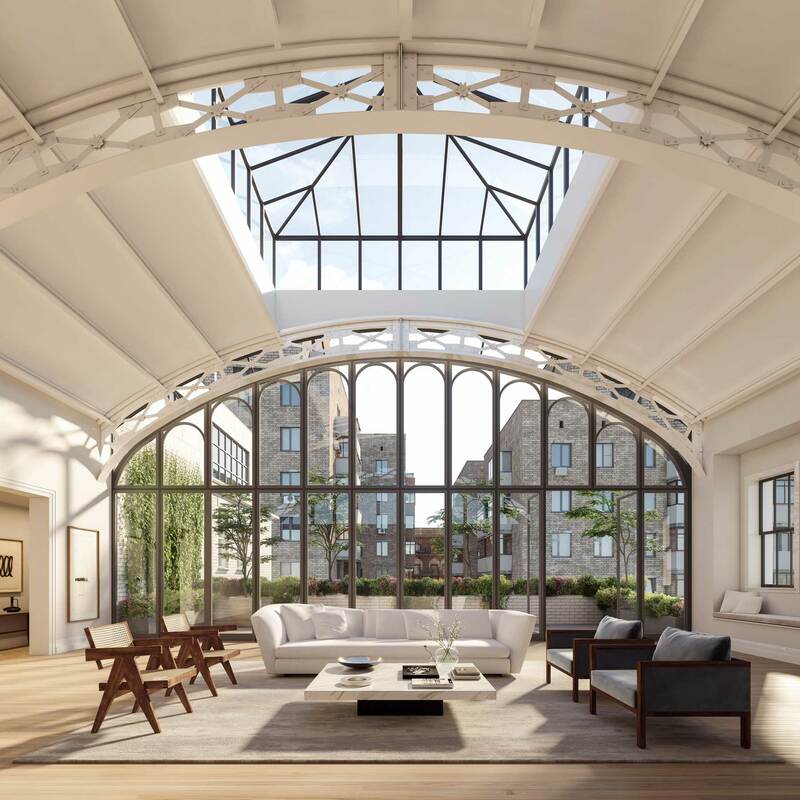 The Great Room’s breathtaking vaulted structure, soaring more than 19 feet high, includes restored steel trusses and an all-new steel-framed skylight and south-facing window wall with French doors leading to a private rooftop terrace. 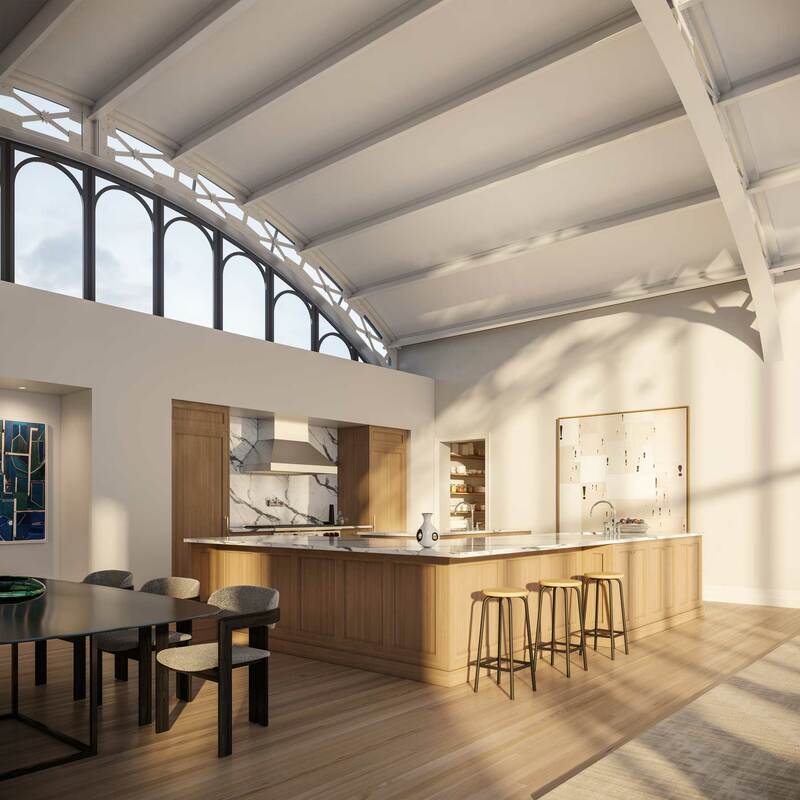 An open kitchen and expansive Great Room fill the enormous daylit volume beneath the vaulted roof of the original rooftop gymnasium. 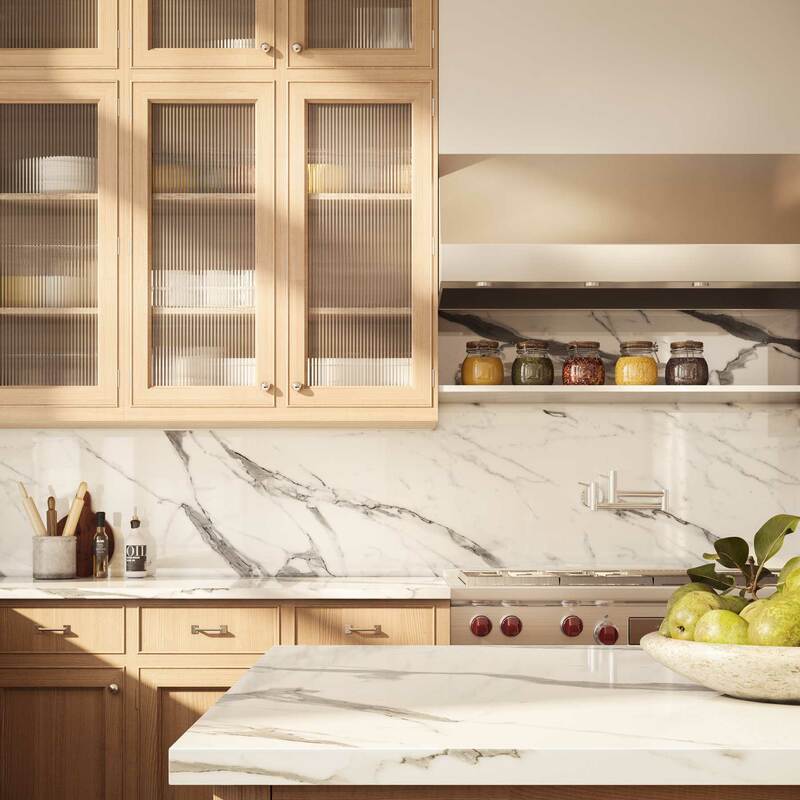 North-facing clerestory windows span the full width of the vaulted space behind the dining area and kitchen, which offers a walk-in pantry and an expansive counter with ample seating. 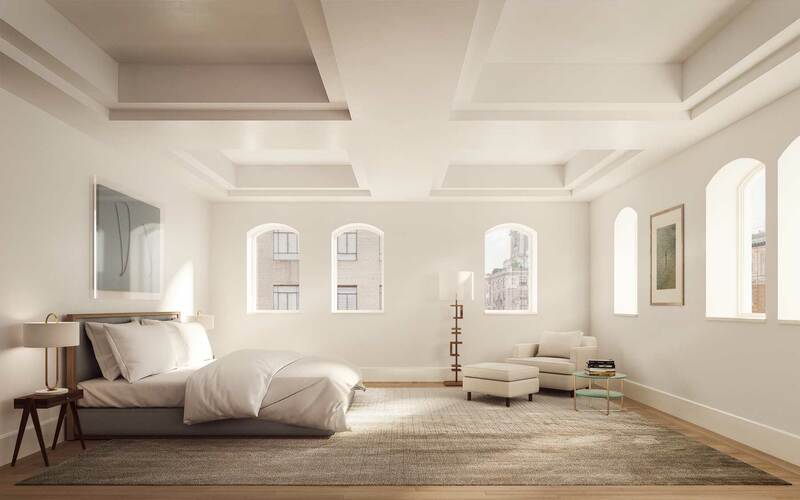 The lofty, light-filled corner master bedroom features elevated arched windows on the north and east exposures. 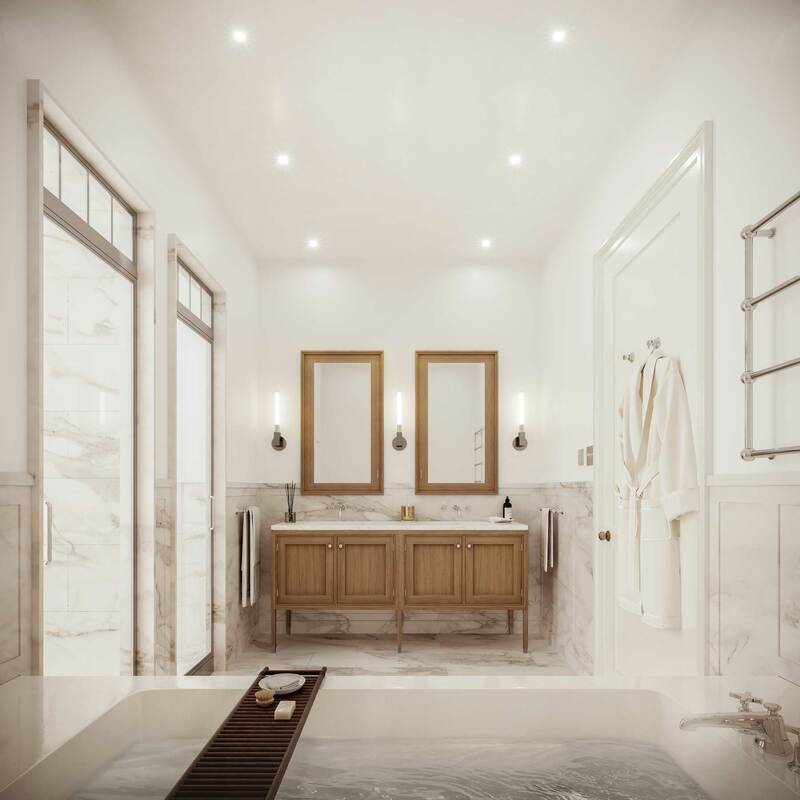 Master bathrooms offer old-world charm with classic details including heated towel racks, custom oak vanities, and polished chrome-framed transom doors for water closets and shower enclosures. 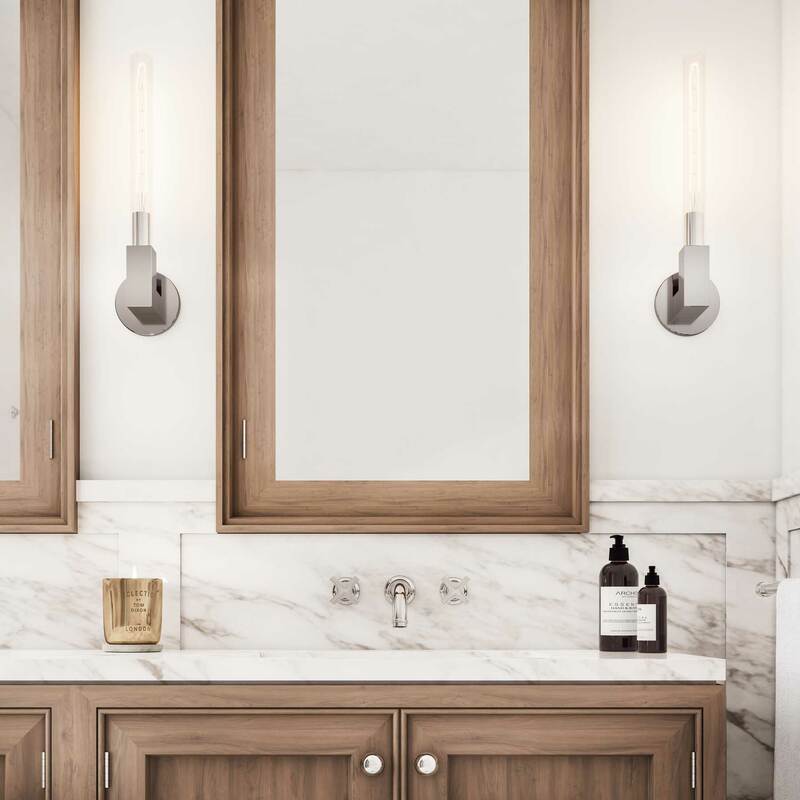 Classically detailed master bathrooms feature Calacatta Gold marble slabs, custom white oak vanities crafted by Christopher Peacock, and Lefroy Brooks plumbing fixtures.